Be the First to See Our Latest & Greatest at AAPEX 2018! New Product Enhancements, Special Pricing and Prizes—Oh, my! The 2018 Automotive Aftermarket Products Expo(AAPEX) is almost upon us, and all of us at Mitchell 1 are so excited to share our latest product enhancements! This year we have been working hard to on several major developments across all our product lines and we think they’re going to wow you. 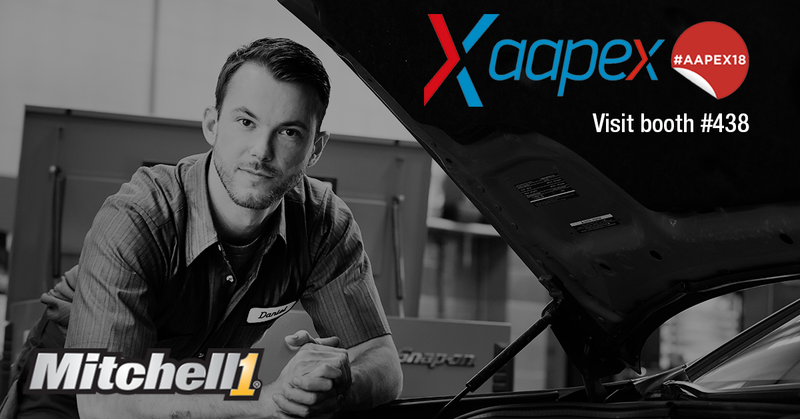 While you’re at the booth, ask about special pricing on all Mitchell 1 products during AAPEX! And if you place an order at the booth you will also receive a $200 Snap-on gift card! Tuesday, Oct. 30 at 10 a.m.
Thursday, Nov. 1 at 1p.m.